We’ve been together such a long time; I hardly know where I end and you begin. My body beats to the rhythm of terms and bells – the long, cold slog to the end of the winter and the inevitable Christmas cold, the summer term that should be easier, but somehow never is, with its sweaty classrooms and echoes of frantic scribblings in in stifling gyms and halls – they are deep in my bones. I have written a thousand dates on black boards and white boards and Smart boards. I have made resources on projector acetates and PowerPoint presentations and on YouTube videos. The first children that I taught are on the cusp of their thirties and may have children of their own. I have grown up, fallen in love, got married, borne children, become who I am. All with you there, by my side. I hardly know who to be without you. Lately, there have been some very rocky years. The old cliché might be to say that it is me, not you. The truth is, it’s both of us. We’ve grown apart, become different people. You have an ideal of me in your mind that is impossible to live up to. I no longer have the time or will to try. I thought that if we saw less of each other, it would help. And it has, a little. 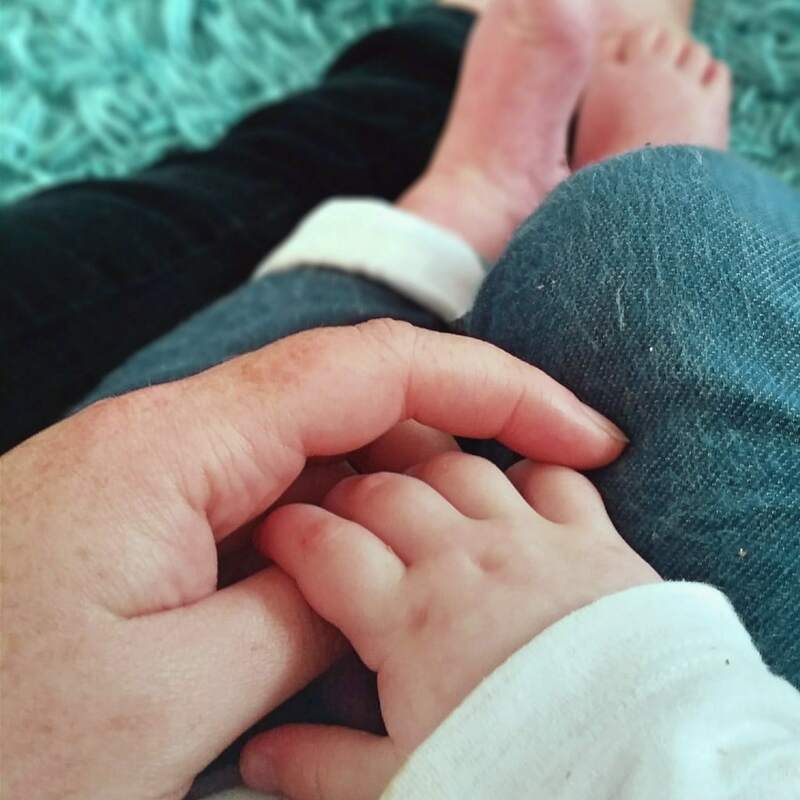 But during the time we are apart, in every perfect moment with tiny hands and feet, in every joyful call for mummy – I am held hostage by you. I’m still in love. The musty smells of books and paper, the bright young faces, the camaraderie of the staff room and warm tea on frost-bitten mornings. I depend on you for my sense of worth and so I have clung on far past the point when this was mutually beneficial– not in bravery or selflessness – but out of fear. Even when I know that staying is wrong, even when I know it hurts those I love the most, and you, I have not been able to let go. There is much I will regret. I wish we were parting on better terms. I wish I weren’t leaving students I admire and care for – half way through a gruelling and rigorous new GCSE. I wish I didn’t feel like this is a failure. But there is also an overwhelming sense of relief; I don’t have to pretend any more. I don’t have to choose. Is there someone else? Yes. My quality of life. My children. I know I am lucky. You have given me so much. I wish I could be better for you – I always danced along a precipice –at my best, my highest point, there was constantly that sheer drop, centimetres away. My stomach always lurched at the threat of the fall. I could live with that, before. I could live with that constant sense that my mind was full to the brim. I could live with the work, the pressure, the marking. And now I can’t. Because my mind is filled with cries in the night, and grazes to kiss, and curls to brush, and lunches to make, and adventures to have, and autism to face, and little hands seeking mine in the darkness. And I cannot, will not, let those things spill out when my mind is overflowing, when I stumble at that precipice. There are some lines that cannot be crossed. Some sacrifices that should not be made. I will support my son for every second of every appointment, every therapy that he needs – and I will not feel one jot of guilt for being there with him, nowehere else. I will hold my daughter all day when she is poorly, stroke her hair, and I will not think for one second of a pile of books that I should be marking. I will not miss out on more than two and a half hours of my children’s laughs, sighs and cuddles, every day, while I queue on a dreary motorway. But I will miss you. I will miss being a teacher. I will miss belonging to the club and wearing my thirteen years like a badge of honour. I will miss my pupils. Maybe one day, it might work again. I hope it might. Until then, take care – fight against those who want to change you for the worse, those who would seek to divide you from the joy you should inspire. If I can return one day, I want to greet you like an old friend, not an unwelcome necessity. I hope you can understand. there after school and for all holidays. now I am seen as a troublesome mother. You have one life follow your heart and remember that the biggest gift you can give your children is a full love tank. This comment is exceptionally judgemental, anti-feminist and short-sighted. Not all of us have the luxury of being able to give up work, nor should they be made to feel they should have to give up a career they’ve worked hard for. I believe a working mother can make you a strong role model to your children. Many women, and men, manage to work and parent very effectively! If all women who became mothers gave up their jobs, they’d be created for who exactly? Disgusting. wow, big news! the best decision for you. well done and don’t look back. life is far too short to spend it being miserable. This genuinely brought me to tears. What a beautifully heartfelt letter! I’m glad you’re feeling relief at the decision and don’t doubt you will find fulfillment in your time with your children. This made me feel really emotional! I’ve only been a teacher 3 years and I’ve taken a whole year off to look after my baby and I and questioning whether to go back. You have taken the leap, but I just do not feel ready to give it all up yet! I was explaining to someone the other day that I actually miss greeting children in the morning and wishing them a ‘good morning, how was your weekend?’ and people look at me like I am nuts! I liked the overly cheery girls responses and the grumpy sulking grunts from the boys! One day I will be where you at at im sure! Good for you! You have done your bit and I’m sure if you choose to there will be new generation waiting should you want to teach again! Even without the added complication of autism, to want to spend more time with your children is not something to be ashamed of. Not something to be looked down on. To be a parent is the most important ‘job’ we will ever do. To guide, protect, love and teach our children is an honour and a joy. I left teaching in December and I still feel the relief of making that difficult decision every day. I had sadly come to dread the occupation rather than embracing the joy that it can bring and it was really having a negative impact on me. I do miss the aspect of supporting and encouraging children and celebrating their successes but I get to do this with my own child now and that is even more special to me. I have decided that I still need to have something and so have chosen a self-employed career option that has many similarities and skills, but without returning to the stresses and hours that wore me down. I wish you all the best and hope that you enjoy your time away whether it be for a short break or longer term. Thanks so much for commenting. I wasn’t able to be good enough anymore. It was just all too much! Oh I am so sorry to read that you are now leaving teaching too. However, as a fellow former teacher and parent I understand the agonising and the guilt you will have felt at making that decision. I was very sad to leave teaching behind but I don’t regret it as I am now there for my children. Like you I hope to return to teaching one day but for now I want to focus on my children. The pressures on teachers today is crazy and until they recognise this they will continue to lose amazing teachers like yourself. This is such a powerful and heartbreaking read that I hope you will send it to all the newspapers! Well done on your decision. I know how tough it is to leave teaching, and I did it before children. I miss the daily contact with the children, the buzz and flow of the day. I do not miss the long hours, the pressure of paperwork deadlines nor writing reports. It was a more bitter end for me but I still understand the pull you feel. Enjoy your next chapter, and your time with your family. Thank you and thanks for commenting – it has been a very rocky few years getting to this point. I am currently on maternity leave from my teaching job and I have no idea how I am going to juggle being a mum and a teacher but as the bread winner of the family I have no choice. I just hope my guilt doesn’t overwhelm me. I really enjoyed this. It struck a cord with me as it’s something I did after having children. I never looked back after leaving the classroom! Oh my goodness. You are so much braver than I. I’m still in teaching after 25 years and perhaps if I’d loved my job less then I wouldn’t be divorced and without children. All the very best in your new venture. They are lucky, lucky children. Thanks for commenting and your kind words. It’s a tough decision for anyone to face and there is much reward and satisfaction in dedicating yourself to teaching. Thanks so much for commenting. It has taken 3 years and many occasions when it nearly happened… It has got to the point where I *know* it is the right thing to do. I think males can feel this way too. A lot depends on personal circumstances and support. I have no family, a long commute and a little boy just diagnosed with autism. These things pushed me too far. Thanks so much for your kind words. Wow! I could have written this. I am, well was a teacher for twelve years in total… I had to stop for my own sanity and for the sake of my family. I too am supporting my little man who is also on the spectrum (aged 6) and I too have a little lady (aged 2.5 going on 16) who also needs my attention. I don’t think people realise how tough teaching is, especially in the current climate. I have always felt that teaching is a vocation but at the moment it feels as though it’s being run like a business. The people at the top are forgetting that we are dealing with children not robots. I think you’re really brave in your decision. I’m being made redundant from my teaching post this summer. I’m hoping to find a new post, but if I don’t I’m not sure if I’ll be disappointed! Thank you for commenting. It was a tough decision. You are making the right decision.Teaching sadly has become a profession that is all absorbing and draining does not fit in with any kind of normal life, let alone life with children who need your love and attention. I did go back to work 6 months after each of my children as we lived in London and could not afford our house without two salaries and I kept on working until I could take no more, just one and a half years from retirement. After a term of relief and improved mental health, I missed it and I went back to the same school to work as a supply teacher. I now have all the pleasure of teaching and little of the grief of meetings, assessments and planning etc etc that grind you down-I do have to mark in 3 colours but I can cope with that. Sometime in the future when you have done an excellent job as a mum you may go back to the job that you clearly love. For now though you are in the right place and if I had my chance again I would try to do the same. I still remember my daughter saying ‘Can you meet me from school like a real Mummy’. I was lucky; until they were 11 they were at the school where I taught so I didn’t miss important school moments but I missed a lot of important other moments which you won’t. So no regrets. Enjoy every minute. It goes so fast! This is every thought I’ve had! You totally summed up what it’s like to be a teacher now. Your letter rings so many bells with me. I now work part time as a Primary school teacher and would never return to full time unless it was unavoidable. The “guilt” element is so true, I felt guilty if I didn’t get all my planning and marking done at the weekend and guilty if I didn’t spend time with my family. I had to choose between being the best teacher I could be or the best Mum I could be. I chose the latter and have absolutely no regrets. Thanks so much for commenting. It was a tough decision but hopefully I will have no regrets too. Beautifully written. Out of five women I qualified with 22 years ago I am the only one still hanging on in there and it is by my finger nails. I too have to balance the demands of life with a child with ASD and the scales are so often not in his favour. It is soul destroying. Do you mind if I share with a friend who has just handed in her notice? I think it would help her to come to terms with her decision (in fact, I thought it might actually have been her writing this blog until you mentioned your son – that’s the only difference between you). This is so beautifully written and sums up how a lot of teachers feel I think. I’m still holding on at the moment, but the profession has lost another talented teacher. Their loss is your children’s gain. I hope I can return one day. I do admit that it is partly teaching but lots to do with my personality and situation too. Thanks so much for your kind words and for commenting. I’ve often wondered how teachers cope when they have children. People think it’s a great job for a working mum because of the holidays/hours when that’s actually what makes it not so great! But now my youngest son (nearly 20) is thinking of going into teaching after his degree (he’d prefer sixth form age students) and I don’t know what to advise. All teachers I meet or read about just want to leave. Can it really be a good job for him out will he just end up as fed up as everyone else? There are those who cope with it and love it. There is much to recommend it too. Thanks for commenting. Thanks for your reply (I also meant to say how much I enjoyed reading your blog – even if I’m sad for you re the content). A beautiful, heart felt post, no wonder you won Blog Of The Day. Good luck with your decision, it sounds like it is the right one for you. I will be following with interest. This is so beautifully written, I can’t even imagine how hard this decision was for you to make. I wish you all the best for the future and looking forward to reading more from you. Thank you. Not sure how it’s going to work at the moment but guess it will somehow! Beautifully written. I’m so glad #KCACOLS brought me here today. I have a similar story, 22 years of pharmacy, and my story is so similar…I left last December and now I’m returning to family and creativity and writing. If you are able, choose love, choose life, choose family. 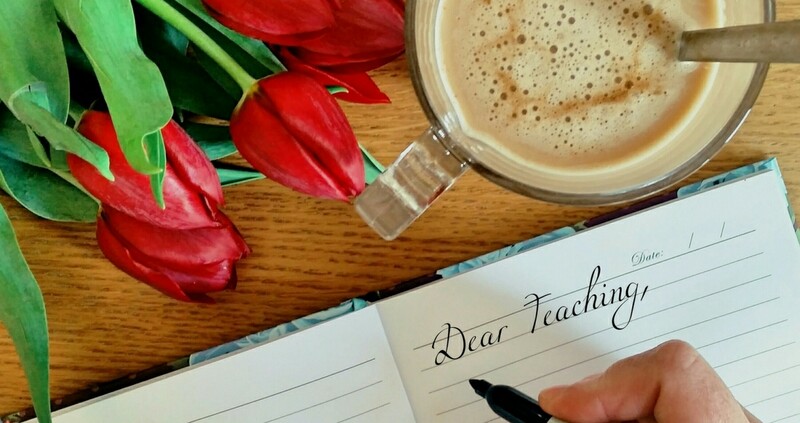 Fabulous post and I totally get where you are coming from (I used to work in teacher training as opposed to being a teacher myself and my husband currently works in education). For what it’s worth, I think you’ve made the right decision! Thanks so much for such a lovely comment! Means quite a bit from a MADs and BiBs nominated writer! I have made peace, I think. Now I just need to find a way to pay the mortgage! 😉 Thanks so much. Oh gosh yes one small ‘hindrance’…dreaded mortgage. Best of luck to you. A well-written piece – I’m sure you will perhaps do a little supply, some tutoring and perhaps retrain as an educational psychologist or coach/counsellor. Good luck on your journey! I worked as a link worker in high school in London for a decade and I’ve seen so many teachers – including those in senior positions – on the edge of not coping. Many described a gut-wrenching feeling as they came in to school on a Monday morning. Up late marking and in early to prepare. The boundary stretch and the changing expectations make conditions ripe for burnout. I think there is great wisdom in your decision! Health and happiness come first. What a beautiful love letter to your family and your extended student family. The school community is losing a star obviously. But, there isn’t a better reason to say so long for now. Loved it. 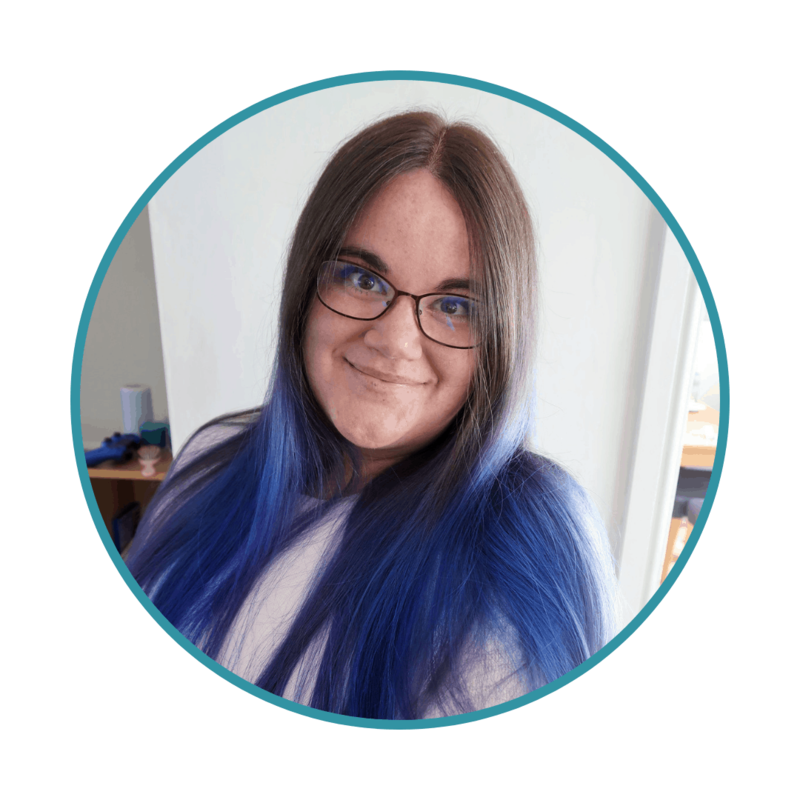 We are on #BlogStars together this month from Prabs. You are not giving up. It’s just a break. And the profession is becoming more and more demanding. It’s just ridiculous…When I left for my year off, I was so relieved to go. I am sure my situation is far from being as difficult as yours, but I am not looking forward to going back to school, even if I love teaching and the kids. I understand what you describe here. Good luck on your new journey! I am sure you will be fantastic! This is such a familiar story and you have written this so well. I have known too many teachers break under the pressure of the job. It is very demanding. I used to teach whole classes then took time out for maternity leave. After that, I seriously considered never teaching again but luckily found a job teaching smaller groups/individuals. It suits me much better. There is always something that turns up to suit your needs at the time. I think you are doing the right thing for you and your family. You should never feel guilty for spending time with your own children. I hope you thoroughly enjoy every moment of your time away from teaching and that you are able to go back into it one day, if you decide that is the best thing for you. Your eloquent letter makes me feel sad, but I am so glad that you are able to make a life choice that is right for you. I have been in this career for 40 years, and am nearing retirement. I am single, but the changes you mentioned in your earlier post about observations, testing, reductions in pay etc. all are true of my situation. I am actually looking forward to retirement so I can reclaim my life. I am single and a veteran teacher, but still need to spend hours writing lesson plans and I still stress about observations from administrators who don’t truly know me or appreciate the type of teaching I want to practice. 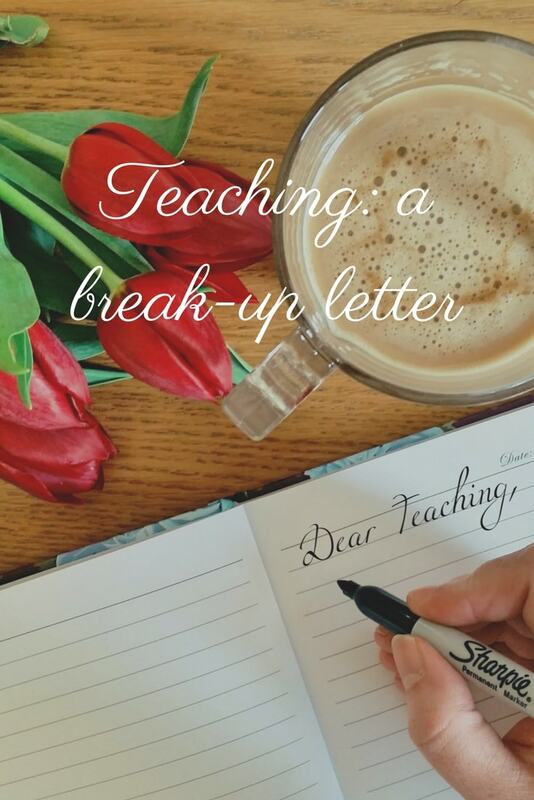 At one time, not so long ago, teaching was truly my life, and now, I find I am eagerly anticipating walking away with little sadness and lots of terrific memories of an earlier time in my career when I felt I truly mattered. The stress is palpable, and I am getting no younger. I hope that one day, when the time is right, you will be able to return, but if not, your motherhood is the most important career of all. I wish you well. Having briefly been a teacher, I can relate! It was like having two full time jobs and I lost some of the best years of my children’s lives. I’ve given it up now to spend more time with them, as you’re doing. I am walking away from teaching as well. And it is so hard to say goodbye. But I had already said goodbye over 20 years ago so I could stay at home and teach my own three children. I have never regretted that decision, but when I returned to teaching, this time at a private school, I was so overwhelmed by the increased demands and the over-the-top expectations, not to mention the encroachment of technology, that I stepped away. I am now, in my 60s, searching for a different occupation that doesn’t take over my whole life and won’t keep me awake at nights stressed out over all that is required and all I cannot possibly do for my students. I will miss working with children, but I have to choose mental health, physical health, and being available for my family. I wish you the best–you will love that you are going to spend the time with your own children. I”m feeling exactly the same as you describe and was so relieved to read this update… as I too intend to do the same. Feeling a bit nervous, but also very relieved at finally being able to make this decision. You are a wonderful writer! I read the previous post and I found myself thinking that you should quit and become a writer-then I read this one that you actually did quit. You will never regret making sacrifices to spend quality time with your children while they are young. Bravo for the courage because being a stay-at-home-mom isn’t exactly a picnic either! Lol! Both of my parents retired from the school district. My mom was a stay-at-home-mom until I was in 7th grade then went on to teach for 23 years. I know the sacrifices teachers make and I love and respect them so much. My great friend is a 3rd grade teacher in Compton, California here in the states and is the mother to 2 young kids and she struggles daily with not being enough for her students or children. Teachers do not get enough respect. Neither do mothers!! Good for you! I left 2 years ago after teaching for 20years. I wanted to take my little boy to school and be there for him at the end of the day and I didn’t want to spend all evening and weekend planning and marking. I Don’t regret it for a second, you will never get that precious time back with your little ones. Enjoy!